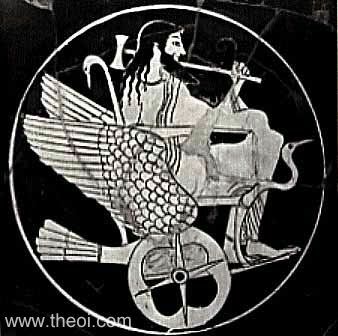 Hephaestus returns to Olympus from his exile on the shores of the river Oceanus riding a winged chariot-car or chair. The chair is decorated with the heads, wings and tail of a crane. The god carries a double-headed smith's mallet.